While WeChat never intended it, its group chats have now become one of the most widely used online office tools in China. 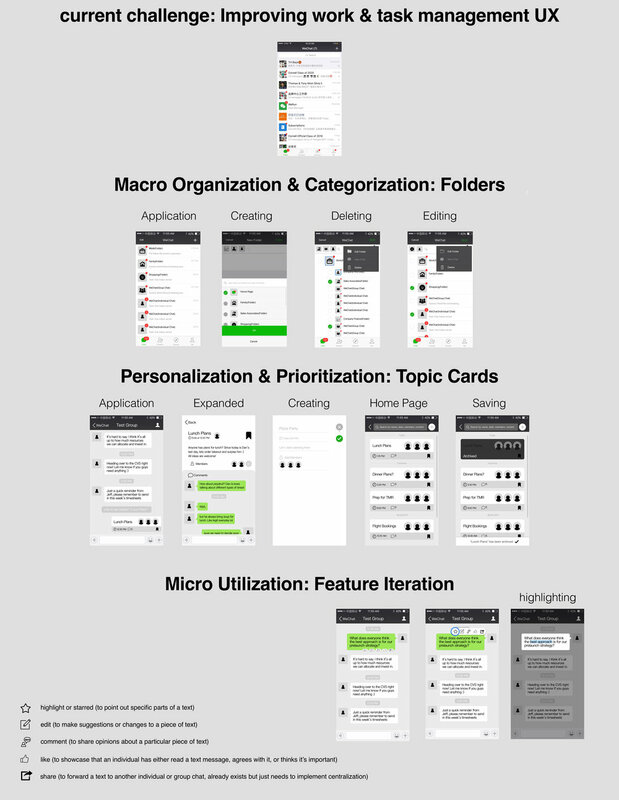 But despite this, WeChat has yet to implement real structure to support work & task managment. As a result, every type of group chat (work, social, and life) has been wedged into one, long and inefficient page. This reason alone was enough for me. By improving the work & task management experience for workers, I believe I will simultaneously solve the problems that arise from the lack of structure to support large social networks as well. Having often spoken to and shared ideas with my dad, a business owner who was an everyday user of WeChat himself, I realized that I already understood a lot about this pain point and would end up improving the experience for someone who was close to me.